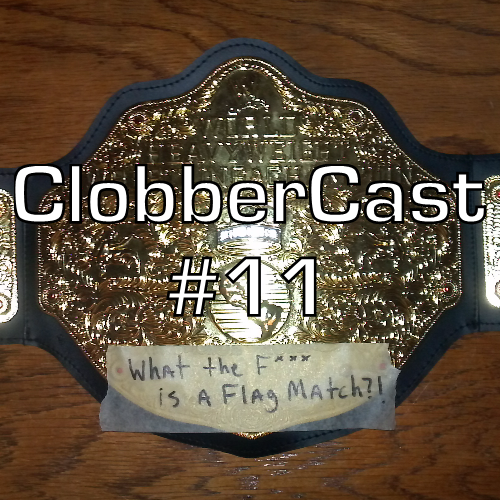 ClobberCast Episode 11: What the F*** is a Flag Match?! Seriously, what are the rules for a flag match? Did SummerSlam deliver as WWE’s 2nd most important PPV of the year? Who amongst the ClobberCast was underwhelmed? Did the shocking results of the main event get us pumped for what’s next? Did the G1 Climax feature the best wrestling in the world? What makes for a 5-star match? Should you watch TNA? Will you watch AAA or GFW? When will Damien Sandow fulfill our absurd prediction? What’s a flag match?! Hank, Toben and Maya have the “answers” to those questions and more. Where’d Dean Ambrose Go…Besides Through Cinder Blocks?